Every time you analyze data, it’s useful to ask yourself what conclusions you can actually draw from that data. However, it is often important to take a step back and check the data itself. Imagine making some conclusions from the data obtained in this way. It does not matter what results we get at the end of the experiment — the data is doomed anyway. We don’t know what users think by clicking on this button. But if you think about it, even if you remove all the ambiguity from the interface of this questionnaire, we still won’t get accurate data. Now it will be the answers of only people who decided to press the button, which also does not reflect reality. In this case, to get the real data is very simple — just stand up with the counter, and calculate manually. Of course, this happens rarely, and we have to make all sorts of assumptions from the data. However, before you do them, it is important to make sure first that the data is generally suitable to do so. Chat has ended, make a new one? 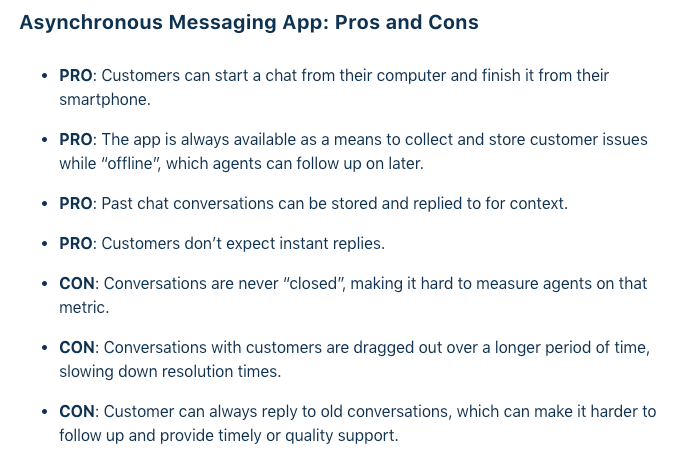 Here is a blog post of a company called Kustomer, telling about chats. They compare synchronous chats with asynchronous chats and show theirs interface for the client. Chat is closed! But I did not solve my very this problem, not a new one. What happens if I create a new dialogue? Do I have to explain the same thing? Or will the operator see the previous conversation? But why to open and close the chat then? Quite frustrating, and not so client-oriented. So, all the point to encapsulate clients “problems” to “tasks” is on the business side. 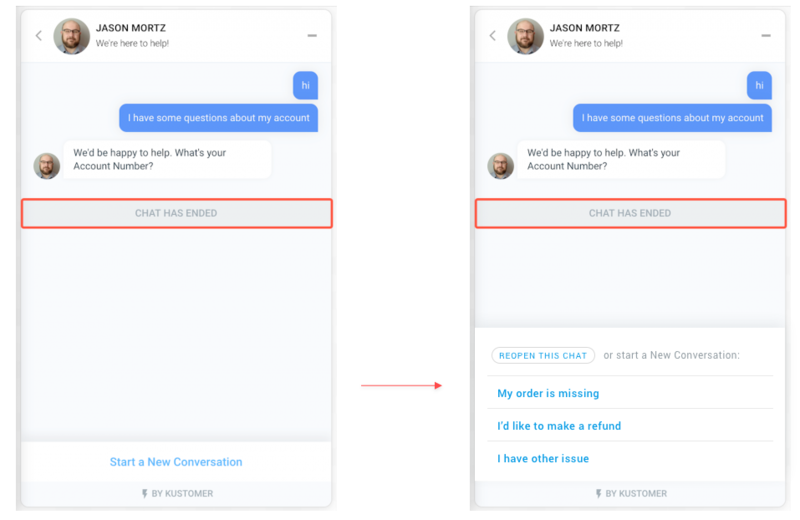 Of course, at the end of the day, the client benefits when the business is all set up well, and the support works as efficiently as possible, but in the sense of an intuitive interface, one big chat is way more obvious for clients. That is, the button to “close conversation” and “open a new one” buttons needed by businesses but not by customers. However, we can not just ignore this need, a business needs to work effectively. But can we maybe at least make this feature less frustrating for the client? The first thing that comes to mind is making clients able to “restore” conversations — so if you find unfinished conversation closed over time, or just miss clicked, you can easily turn in back on. What will happen inside – to open a new task or the old one will change its status may depend on the time. 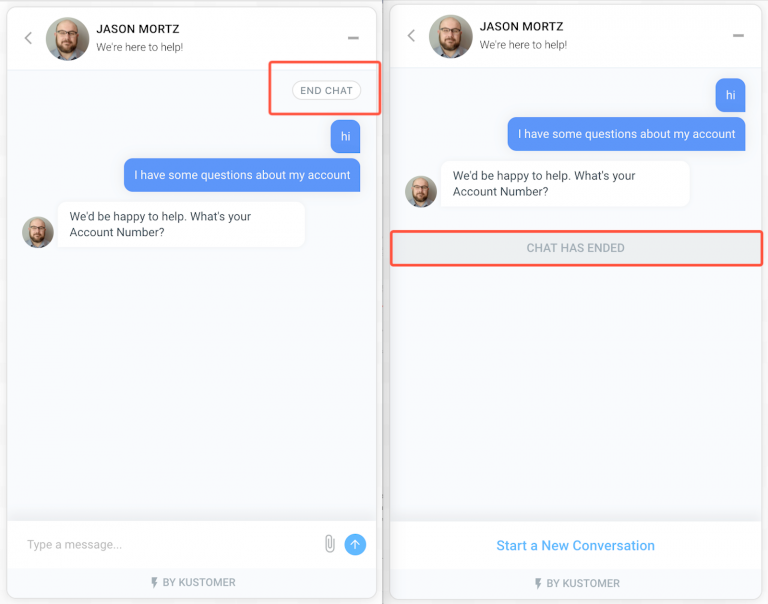 Maybe task will even change the operator, but for clients, conversation stays the same, as long as they decide it’s still the same conversation. However, you can try to show the benefit of the making a new conversation, instead of reopening the old one. It can be done visually by offering specific topics, that already have established workflows. 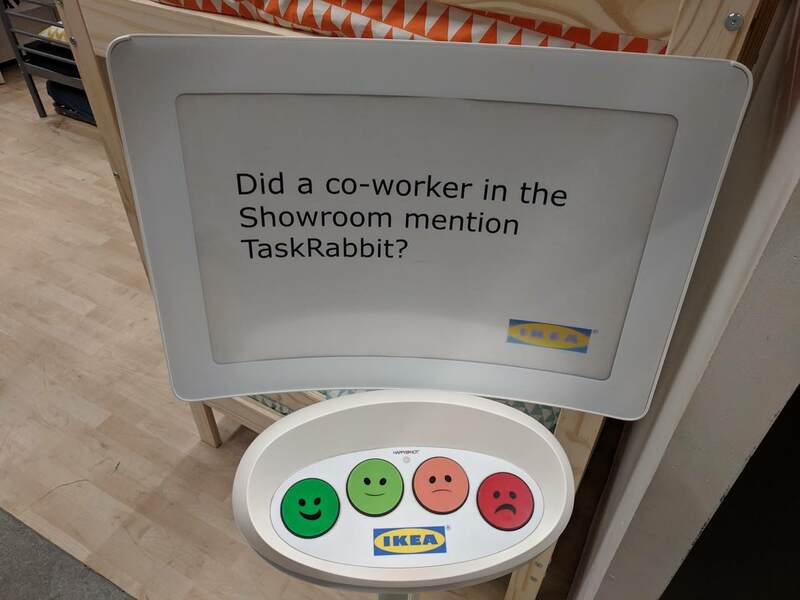 At the end of the day, a prepared scenario for different types of user problems is exactly what makes it easier for business to serve clients better, so it can be a good idea to make customers aware of it. 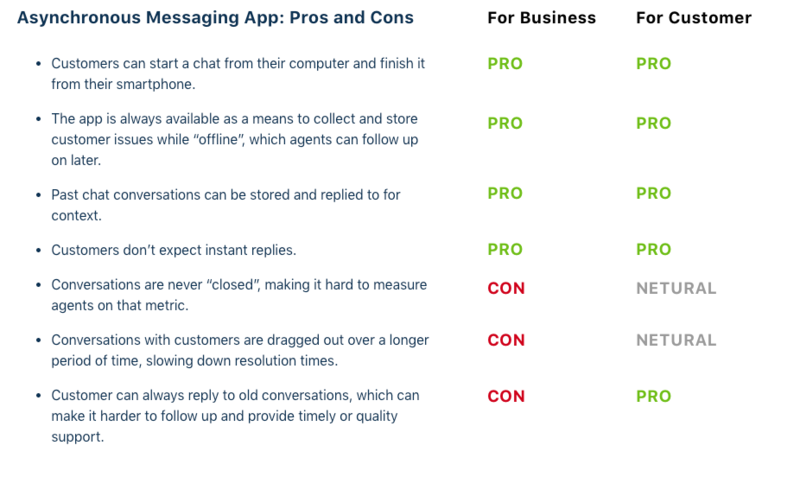 In conclusion: when making several topic-oriented chats instead of one global is inevitable a good idea at least to show the benefits of it for customers, and make it more obvious. This note is based on this post by Nikita Prokopov, so you may want to read it first. In a nutshell: when you are in the “print mode” (typing or programming), every time you need to reach arrows or backspace you have to remove your hand from the original position and then return it back. It’s almost imperceptible, but breaking the focus and reduces the speed of work. 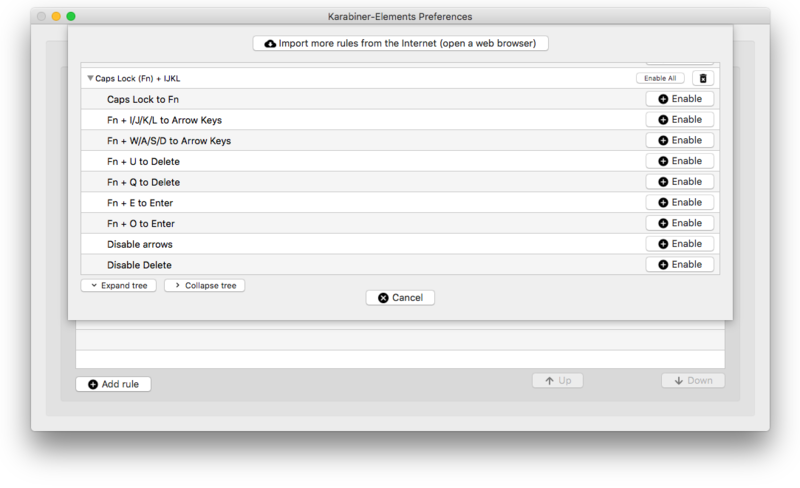 As a solution, Nikita made a configurator for the Karabinierer elements — open-source application, which allows you to remap keys on the keyboard to use Capslock as a modifier. In his edition, arrows are reassigned to Caps Lock + IJKL, and the backspace to Caps Lock + H. He also suggested Locking the original keys to get used to using new ones. I already tried to do this with less low-level remappers, and I was happy to set up Nikita’s configuration. However, it quickly became clear that something is missing. Now, in “print mode” everything is fine: you can write, erase, move to the next line. Particularly nice that all other cursor modifiers continue to work — you can select text with a Shift and navigate by words with the alt. 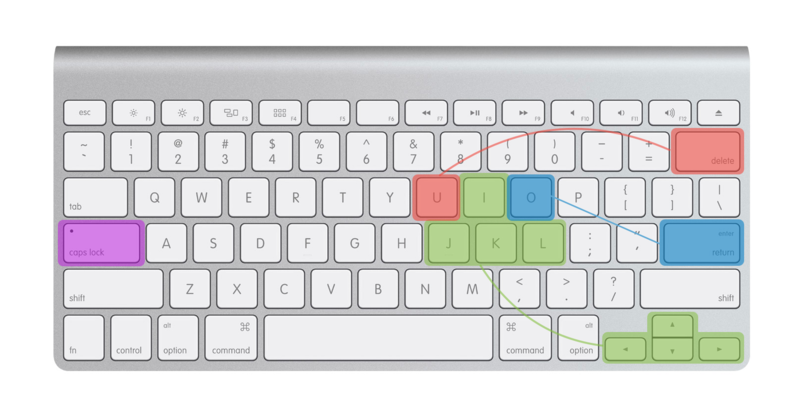 Often you have to work in «Design mode» when one hand is located on the mouse, and the other — on shortcuts. 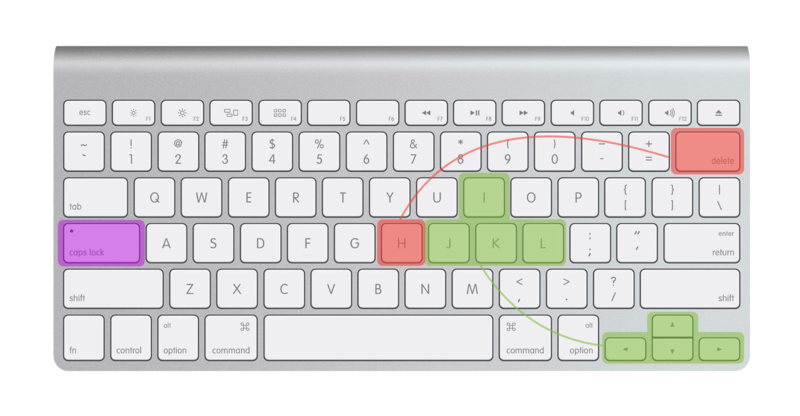 In this case, the problem is even worse, because now if you need to use the arrows, you either have to drop the mouse and grab the keys, and then move back, or remove the left hand from the shortcuts and try to press the arrows with my left hand. Same with backspace and enter. The situation is even worse than in print mode, and our new shortcuts do not help at all. 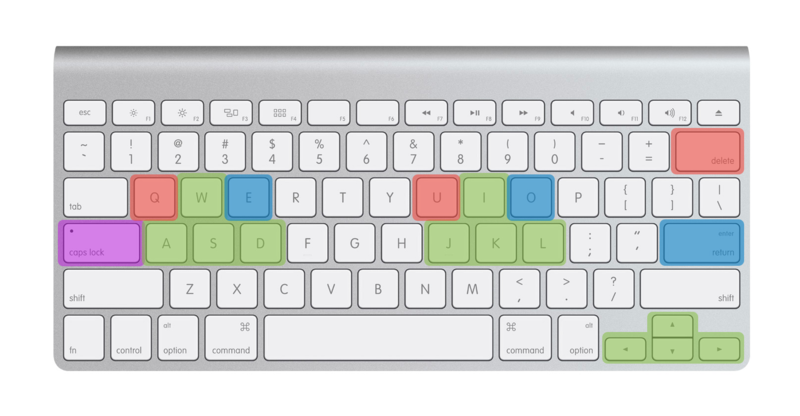 Now you can easily operate with the keys of both the left and right hand. The whole set in the collection looks like this. Sometimes, when designing in Sketch it handy to change several text layers at once. In general, you could use symbols for same elements, but sometimes it not possible or simply not worth it. I’ll show you how I faced the problem with changing texts, and end up with writing sketch plugin. For my font design practice, I need to check, how some glyphs look like in several different typefaces. So I make some text layers with different typefaces selected. But now, every time I need to check some other glyphs I have to cycle through all the layers to change a value to the new one — not cool at all. My first attempt to fix this problem was making symbols from these layers. Now I still had to insert a new value into every layer, but at least I can just copy-paste it into overrides without manually selecting every layer. Better, but still not cool. On this point, I’ve decided, that ability to change several texts at once would be handy not only in this case, but in everyday work too, so I’ve decided to make a plugin for it. You just selecting multiple layers, hit a shortcut, and type or past new value. Notice, that if you already have the same value in every selected layer, the plugin will show it in a placeholder, so you can edit it instead of re-typing from scratch (handy for minor changes, like typos). It also works with groups, so you don’t have to select layers, just select group and it will change the value of every single text layer in it. Despite that, you still can isolate some of the selected layers by making layer name starting with the hyphen. So here it is, shiny new blog in English! I will irregularly post here some announcements about my projects, thoughts on design, and maybe something else, let’s see.